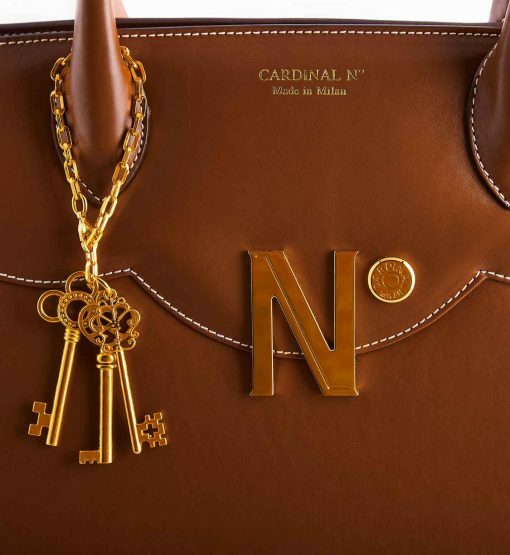 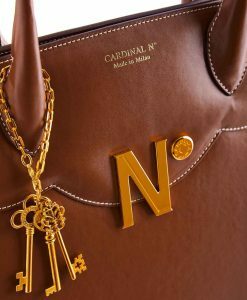 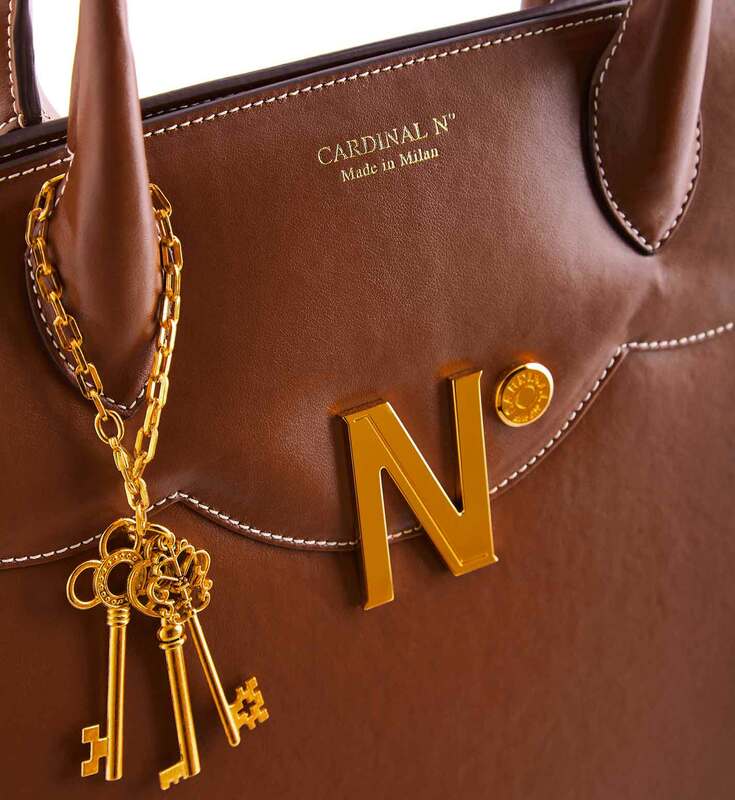 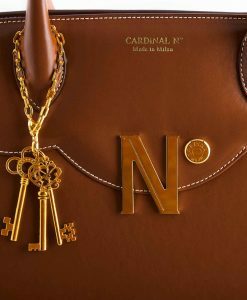 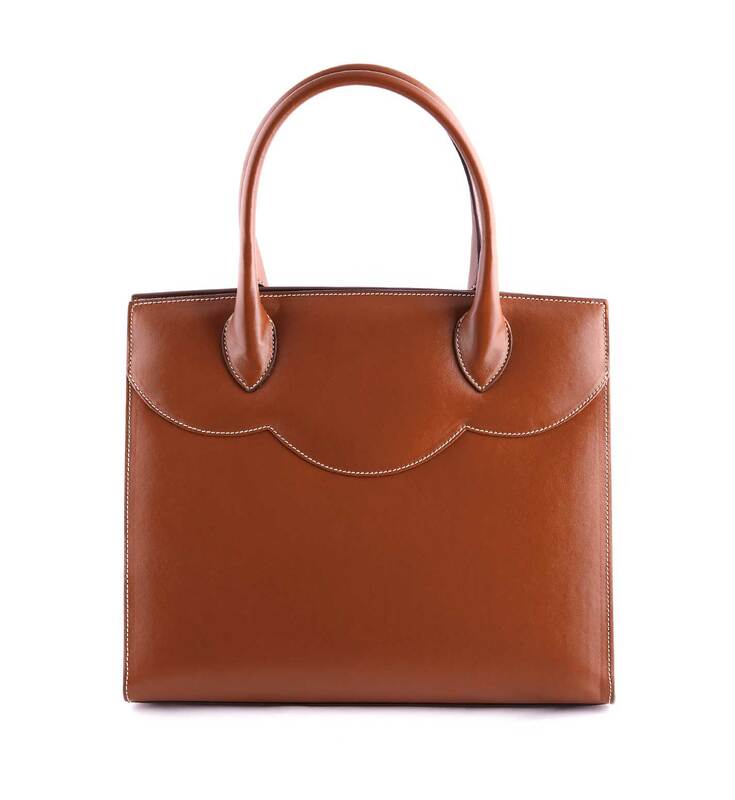 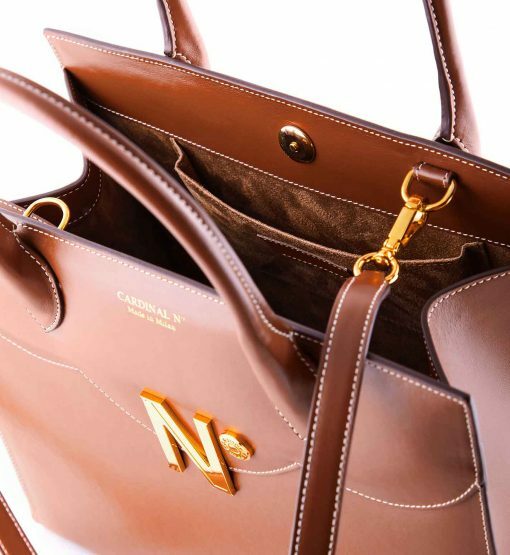 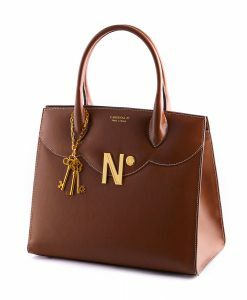 Cardinal N° ‘First Pride’ tote is a beautiful and functional shape bag for busy ladies. 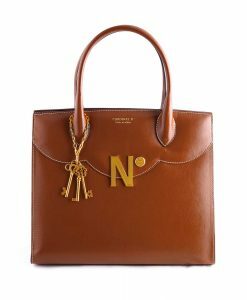 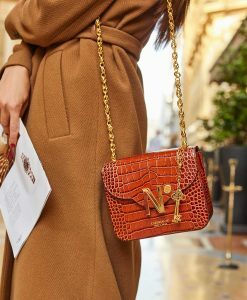 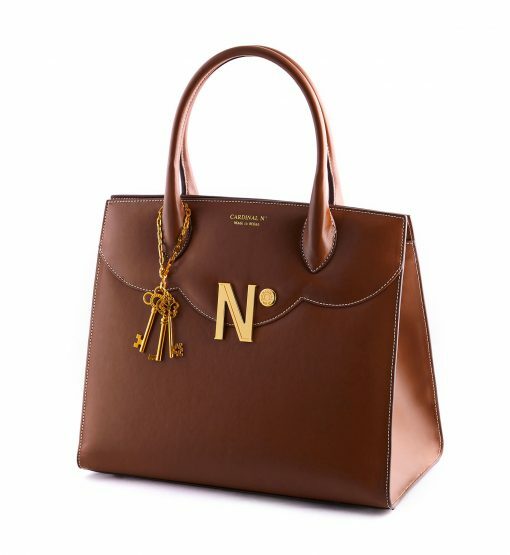 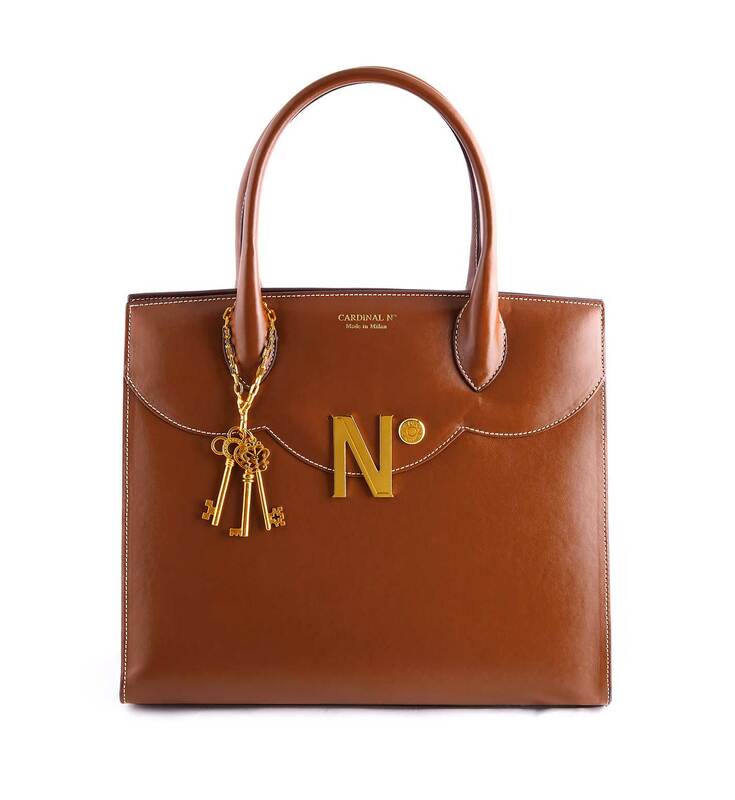 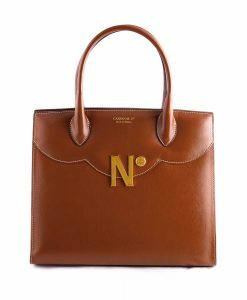 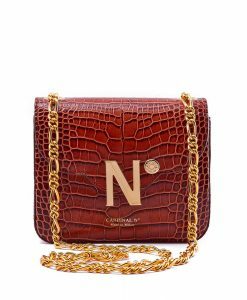 Handcrafted in Milan from supple smooth leather in a cognac hue, it’s detailed with the brand’s signature trefoil detail, N° symbol and detachable golden keys. 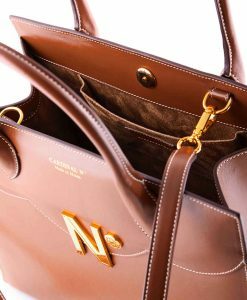 One-compartment interior has plenty of room for your day-to-day essentials while the detachable shoulder strap gives you the option to go hands-free.